When I first learned of the Trust, there was nothing like it. There still isn’t. It offers one-stop advocacy for all that is important about the Colorado Plateau—its human legacy, its unique natural landscape, and its fragile and threatened ecological future. To volunteer with the Trust in whatever ways I can seems like the least I can do to support its great work. My favorite, and only, volunteer trip to date was to the Kaibab National Forest on the North Rim in June 2016. There, I saw how the SEGA project is intended to help us understand how we might frame a climate adaptation strategy for the Colorado Plateau’s threatened ecology. Being part of this work on the ground—hands-on—was better than reading any report or looking at any photos in driving home the scale and value of this research. After each hot, exhausting day of physical labor, our volunteer team eagerly gathered on the Magnum Camp porch to recall our latest efforts, ask questions of the researchers, and delve deeper into the science of SEGA. The only time it seemed to get quiet was when the Trust staff served dinner. As a Park Service summer laborer while in college, I helped collect South Rim garbage and empty it in a sprawling open dump just inside the park’s south gate. Twenty five years later, as an EPA program manager, I taught a course at Grand Canyon National Park’s Albright Training Center on new national rules for managing solid waste landfills like the one I helped fill up at the park in the days before proper landfill regulation. “I know what’s in this dump,” I recall saying. 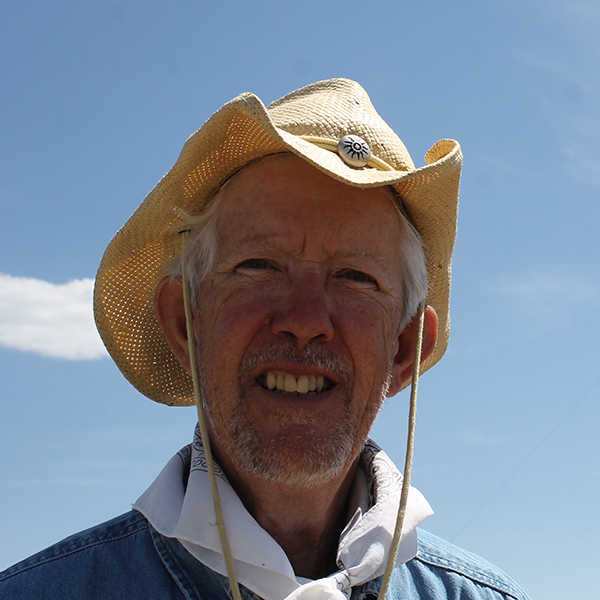 Martin Litton—for the vision, courage, and tenacity to speak truth to power on behalf of the Colorado River and the Grand Canyon. 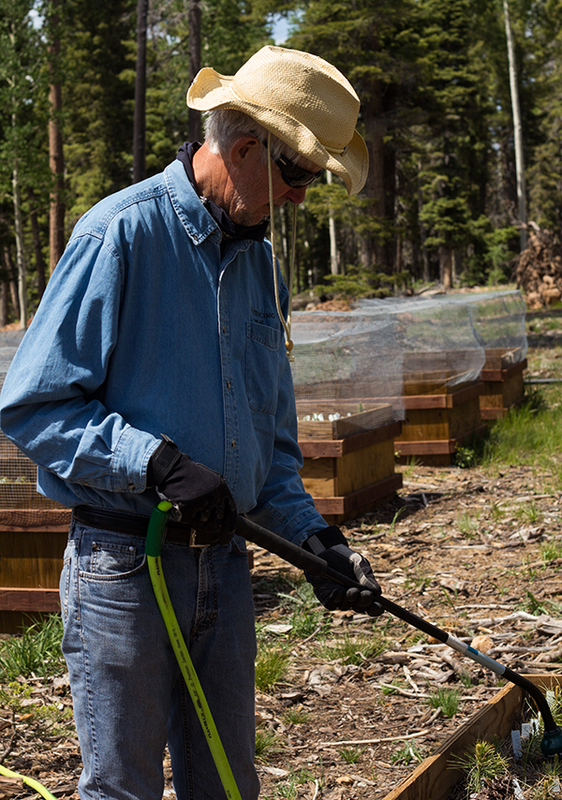 David Schaller waters southwest white pine seedlings at a SEGA garden site on the Kaibab Plateau.